The city of Jackson, Mississippi, has plenty of opportunities to enjoy some quality evening entertainment. If you’re looking for a spectacular show to attend during your vacation here, you should go see a performance by the skilled Mississippi Symphony Orchestra! Consisting of a highly talented group of musicians, this organization is completely dedicated to helping the community nurture an appreciation of classical music. These incredibly skilled Mississippi Symphony Orchestra members strive to provide the finest musical performances to both educate and entertain their audiences. Learn everything there is to know about this professional organization- the largest professional performing arts organization in the state- and start making plans to attend their next big concert! This now-flourishing organization began with a small choir performance in 1944 at Belhaven College. Their talents didn’t go unrecognized for very long; after being discovered by an agency advertising executive, this group soon became the Jackson Symphony Orchestra. As the group continued to grow and develop over the years, playing in all kinds of different locations, they eventually became the Mississippi Symphony Orchestra in the year 1989. Today, it is a leading organization in the state of Mississippi that performs for countless audiences of all ages! The Mississippi Symphony Orchestra performs over 120 concerts every year all over the state. In addition to these many shows, they also offer musical education to youths who want to learn more about playing instruments. If you want to see this skilled organization perform, you need to attend one of their concerts! They offer numerous different concerts throughout the year that celebrate a wide range of different musicians as well as seasonal performances. Take a look at their calendar of events so you can make plans to be in attendance! Tickets can be purchased either online or at their box office at 201 Pascagoula Street inside the Mississippi Arts Center. Other Entertainment Venue in Jackson, Mississippi! If you want to see more concerts and shows in Jackson, MS, there are plenty of places to do so! Take a look at some of the most popular venues in Jackson, MS.
Come Stay with Us at the Fairview Inn in Jackson, Mississippi! Jackson, MS, offers so many opportunities for fun and entertainment, so start making your plans for a getaway here today! Fairview Inn is the perfect place for you to stay during your trip; our bed and breakfast in Jackson, Mississippi, offers deluxe rooms and suites, delectable dining, private lounge, library, game room, and even a spa. Choose from exploring the many nearby attractions of downtown or simply reveling in the comforts of our lovely inn and its relaxing, peaceful environment. You’re bound to love what we have to offer in our haven of Mississippi, so don’t hesitate another moment; check our availability and book your stay today! 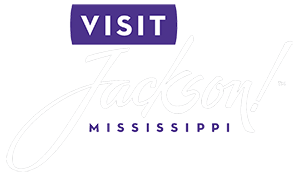 To learn more about the many things to do in Jackson, MS, like enjoying more shows like the ones offered by the Mississippi Symphony Orchestra, download our free Vacation Guide!